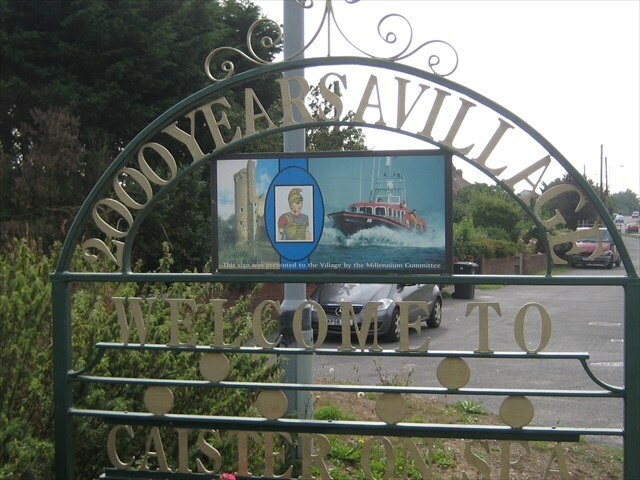 Caister's history dates back to Roman times. In around AD 200 a fort was built here as a base for a unit of the Roman army and navy. However its role as a fort appears to have been reduced following the construction of the Saxon Shore fort at Burgh Castle on the other side of the estuary in the later 3rd century. In the 1950s, a building near the south gate was excavated in advance of a housing development. These buildings certainly do not appear to be very military as they include a hypocaust and painted wall plaster as well as female jewellery, and it has been suggested that this building may have been an officer’s house, or possibly a ‘seaman’s hostel’ which may be a polite name for a brothel. The site appears to have been abandoned in the fifth century, but 150 Saxon burials have been found to the south of the enclosure. The remains excavated in the 1950s are now managed by English Heritage and are open to the public. There has been an offshore lifeboat in the area since 1791. It was used by a beach company to salvage ships wrecked on the sand banks. Between 1856 and 1969 lifeboats were operated by the RNLI. In 1901, nine crew were lost while attempting a rescue during heavy seas. At the time it was said, "If they had to keep at it 'til now, they would have sailed about until daylight to help her. Going back is against the rules when we see distress signals like that". This response was translated by journalists to become the famous phrase "Caister men never turn back".